John Podesta, the then-chairman of Hillary Clinton's presidential campaign, has revealed how the Russian linked hackers were successful in intruding into his computer. Within four months, hackers gained access to countless communications, emails and documents not just from the Democratic National Committee, but also from the Clinton campaign and the Democratic Congressional Campaign Committee. Hackers linked with Russia used "Best, the Gmail team" to intrude into John Podesta, the then-chairman of Hillary Clinton's presidential campaign on March 19, 2016 that resulted into Clinton losing the presidential election. 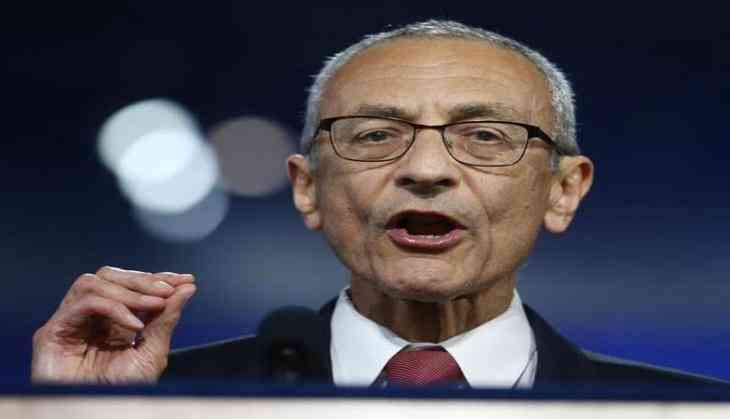 "There was a Google alert that there was some compromise in the system," which prompted Podesta to change his password "immediately" by clicking on a link, CNN quoted Podesta as saying. "It actually got managed by my assistant, who checked with our cyber security guy," Podesta said adding, "through a comedy of errors, he instructed her to go ahead and click on it and she did." The fatal error? Podesta's IT person wrote back to his assistant calling the email "legitimate" when in fact he meant to say it was "illegitimate." One typo, one click -- and Russian hackers had gained free reign into the email of the man running Clinton's 2016 campaign. "The rest," Podesta said, "is history." The first warning sign came in September 2015 when an agent from the FBI's Washington Field Office notified the Democratic National Committee that Russian hackers had compromised at least one DNC computer. "They left a phone message at the help desk of the DNC," Podesta said. "They didn't treat it with the kind of seriousness, I think, that it deserved." Till April 2016, just months before the US election, enormous damage had been done to the DNC computers, Russia had successfully breached two Democratic party computer systems: That of the Clinton campaign and the Democratic National Committee. The DNC notified the FBI and hired the cyber security firm CrowdStrike, which quickly identified two culprits with links to Russia. They were dubbed "Fancy Bear" and "Cozy Bear" -- and both were familiar foes for cyber security experts. James Clapper, the former director of national intelligence, told that US intelligence had been aware of the intrusions since the beginning in the summer of 2015. But it wasn't immediately clear how serious the breaches would become. In June 2016, five months ahead of Election Day, the world got the first glimpse at the massive trove of stolen emails and documents that had been procured from Democrats' computer systems. Bloggers nicknamed Guccifer 2.0-a cover for a sophisticated Russian hacking operation then released batches of material not just from the Democratic National Committee, but also from the Clinton campaign and the Democratic Congressional Campaign Committee.